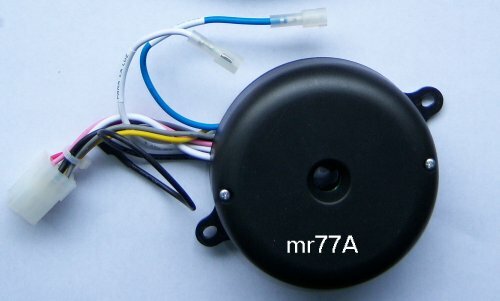 Some are selling a replacement for this MR77a ceiling fan receiver. But LOOK OUT. The fan will require modifications to make this receiver fit. BUT MOST IMPORTANT, the capacitors in their replacement will be 6uf + 6uf. The MR77a has 6uf + 9uf. Your ceiling fan will run much slower with the replacement. So make sure that anything that you buy has 6uf + 9uf.